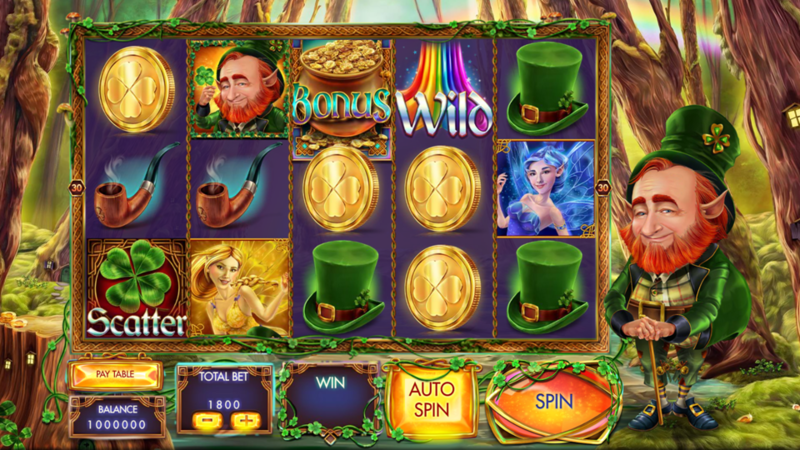 There is a tricky Leprechaun and there are 4 lucky fairies that will reward you with the Multiplier Jumps, Fairy Dust Wilds, Scatters, Free Spins, Gold Pot mini game and tons of other features to discover on 5 reels, 3 rows and 30 paying lines. Apart from the free play mode, Red Rake Gaming ensured a 6000-coin jackpot as well, so read the Ryan O’Bryan slot review and you’ll find out how to win it. We have no free play mode available yet, but take a look at the Ryan O'Bryan screenshots instead. Or why not simply giving a try with one of the recommended casino sites above? Thanks to its dual nature, Wild not only substitutes a symbol missing from a winning combination, but also pays 6.000 coins when 5 of the kind landed on the paytable. Leprechaun has a bit higher rating than other symbols and grants up to 2000 coins. Moreover, it randomly activates the Multiplier Jumps feature and multiplies the prize 2-4x and reveals the result of a spin that got stuck in the Stuck Reel. A few tips to score a big win faster: during the base game, the Fairy Wilds Central Reel will distribute Wilds on the reels, while the Fairy Dust Wild transforms other icons into Wilds. Get 3+ Shamrock Scatters anywhere on the reels to trigger the Gold Pot mini game and click 3 pots to reveal your prize. With 3 bonus icons you’ll activate the Ryan O’Bryan Free Spins round, but the Fairy Roulette will decide the number of spins (5 to 25) as well as the multiplier of up to 10x to be applied to your winnings. Yes, you can play online on the Red Rake Gaming powered sites directly from Android, iPhone or other mobile device. Demo mode is enabled by default, meaning you can play for fun before start wagering for real money. 3. What is the RTP factor of Ryan O'Bryan? Officially, the expected RTP is 95.40%. You can use this info to set a betting strategy given the total amount of bet going between €0.30 and €150. This is a challenging yet rewarding slot machine – unsurprisingly, given its theme and symbols closely associated with luck and good fortune. There are tons of rewarding features presented in this tutorial, so if you’re up to a task, start the treasury hunt now.